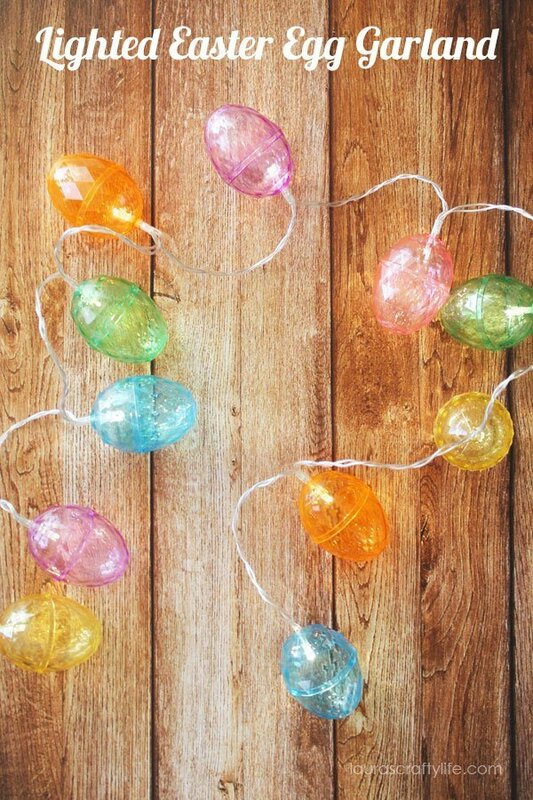 Lighted Easter Egg Garland. 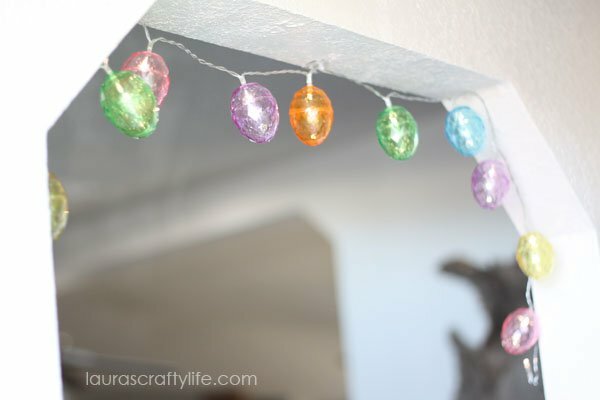 Create a beautiful DIY lighted egg garland to use in your Easter decor. This craft is simple and quick to make. 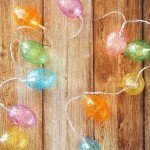 Are you getting out your spring decorations yet? My plan is to decorate this weekend. It will be a mix of Easter, spring, and St. Patrick’s Day. 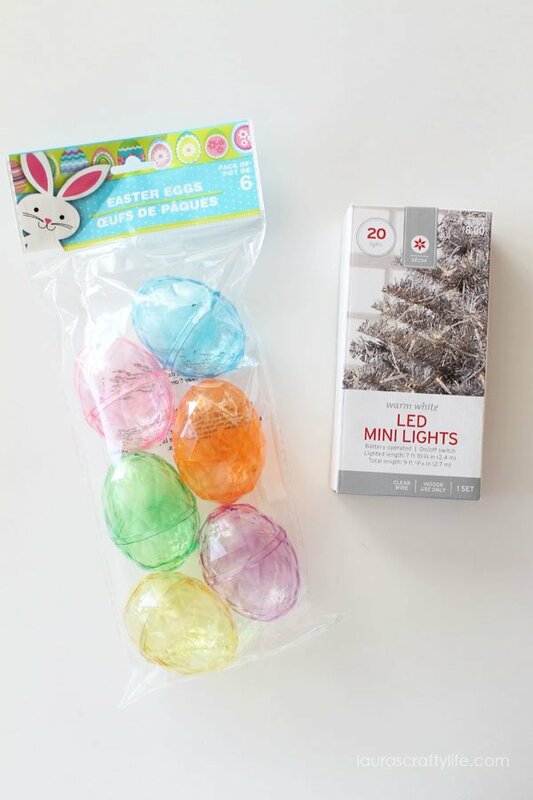 Dollar Tree had these adorable plastic see-through Easter eggs, recently. I picked up a few packages knowing I wanted to make something with them. I also had an extra battery-powered LED light strand sitting around that I bought on Christmas clearance. 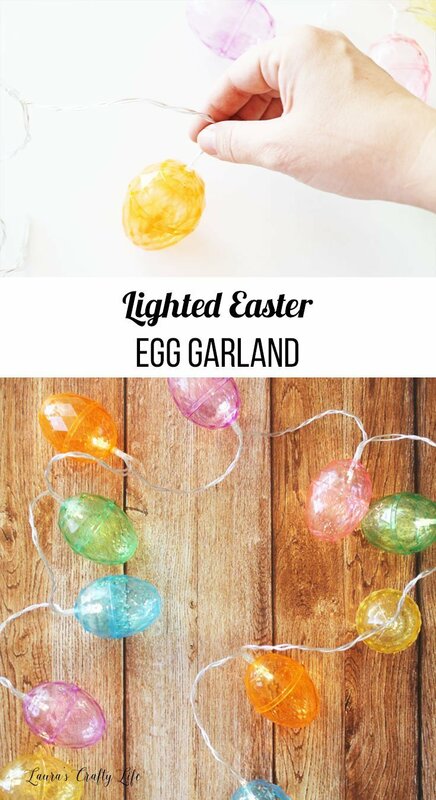 Combining the two together to create a lighted Easter egg garland would be too cute! 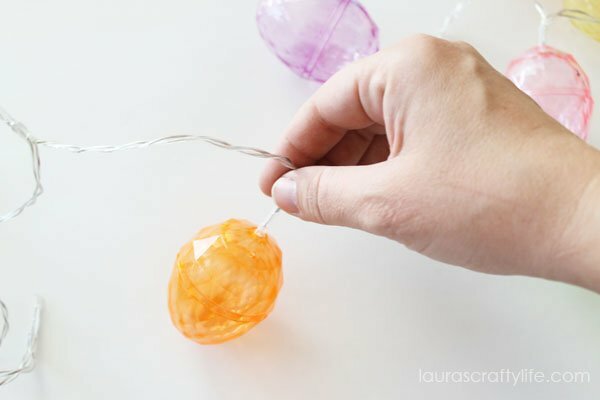 To start with, you will need to drill a hole in the top (or bottom) of each Easter egg. I used a 5/32″ drill bit, but you may need to use a different size for your particular light strand. You want to create a hole that is just big enough for the light to fit through. 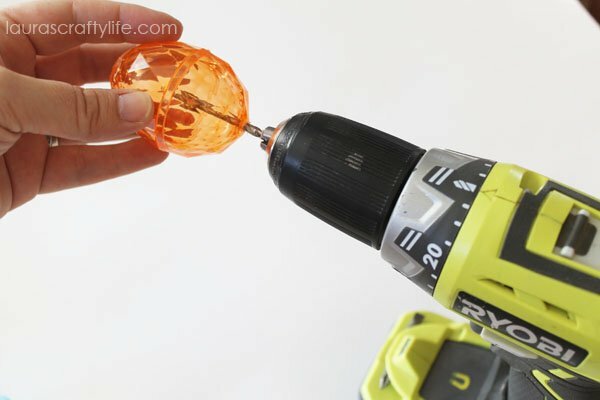 Do this for all your eggs and then push the lights into the drilled holes. This project is so easy and fun. It took me less than 10 minutes to complete the whole strand. It was such a fun quick project! I love that you can create one in any colors you want.